Given a mathematical structure, one of the basic associated mathematical objects is its automorphism group. 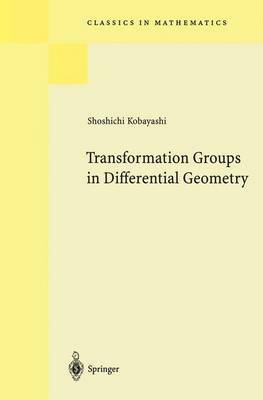 The object of this book is to give a biased account of automorphism groups of differential geometric struc- tures. All geometric structures are not created equal; some are creations of ~ods while others are products of lesser human minds. Amongst the former, Riemannian and complex structures stand out for their beauty and wealth. A major portion of this book is therefore devoted to these two structures. Chapter I describes a general theory of automorphisms of geometric structures with emphasis on the question of when the automorphism group can be given a Lie group structure. Basic theorems in this regard are presented in 3, 4 and 5. The concept of G-structure or that of pseudo-group structure enables us to treat most of the interesting geo- metric structures in a unified manner. In 8, we sketch the relationship between the two concepts. Chapter I is so arranged that the reader who is primarily interested in Riemannian, complex, conformal and projective structures can skip 5, 6, 7 and 8. This chapter is partly based on lec- tures I gave in Tokyo and Berkeley in 1965.